It was an election for the history books! 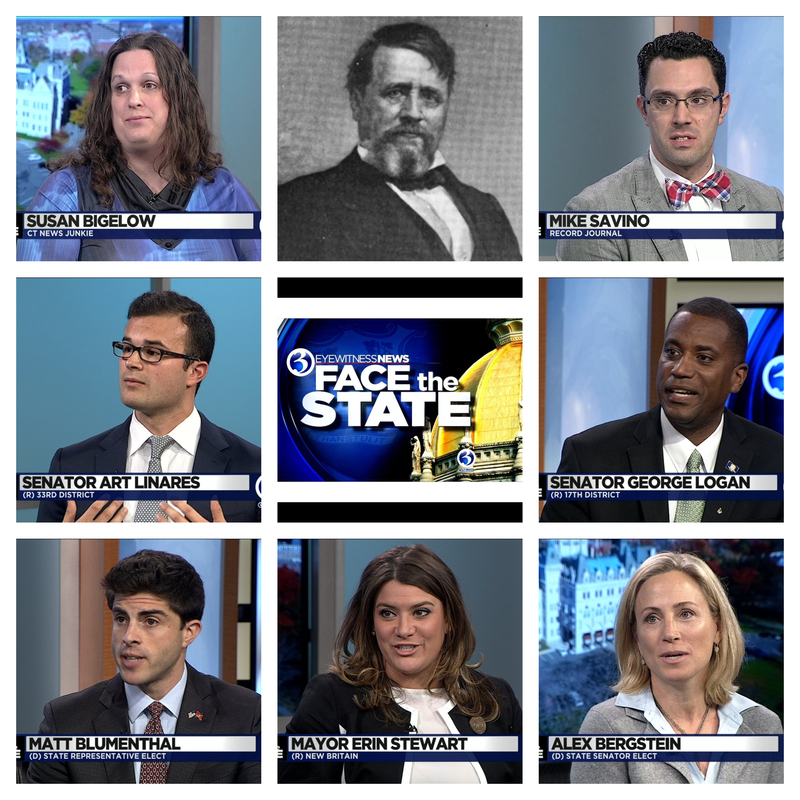 Sunday on Face the State we discussed the election of Ned Lamont as our next governor. How did he win and why did Bob Stefanowski lose? Our guests incuded Mike Savino of the Record Journal, Susan Bigelow of CT News Junkie, State Senators George Logan and Art Linares, New Britain Mayor Erin Stewart, State Senator-elect Alex Bergstein and State Representative-elect Matt Blumenthal. Our flashback was that time Abraham Ribicoff was told he had lost the gubernatorial election, when he’d actually won.